It's just a few days after Cameron's favourite Council killed off a large part of Hammersmith and Fulham's 'big society' and the national press were there to report it. So yesterday the Prime Minister lauched a fightback aimed to explain exactly how his 'big society' will all work. 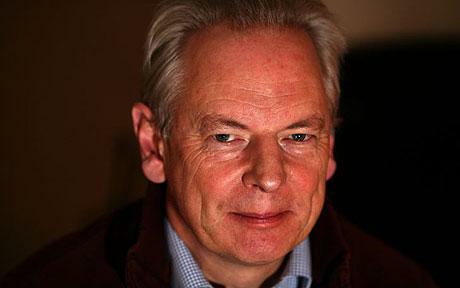 His team took to the airwaves with Mr. Cameron's Cabinet Secretary, the Rt Hon Francis Maude MP (Con) leading the charge. Sadly, Mr. Maude's appearance of Radio 4's PM news programme didn't go too well as having explained how UK citizens need to do more volunteering he then came unstuck when Eddy Mair asked him what volunteering he did. You can listen to the piece here. OK. So maybe I've reported this with an unkind amount of schadenfreude but there is a wider point. If the government and local authorities are cutting vital services such as Sure Start, selling off buildings used by voluntary groups and even using the 'big society' as a possible means of cutting heath and social care then they need to have a policy that's thought out, is properly project managed and one they are capable of explaining. It's been well over a year since it was announced as the Conservative's key policy and it still looks like no more than a catchy slogan dreamed up by a bunch of public relations bods.